Liverpool legend Jan Molby thinks that Marko Arnautovic's desire to quit West Ham for China will have affected his relationship with his team-mates, ahead of the Reds' visit to the London Stadium on Monday. Arnautovic, who joined West Ham from Stoke City in 2017, was the subject of concrete interest from Shanghai SIPG in the Chinese Super League in January. The Austrian was keen to make the switch to China, but West Ham maintained he was not up for sale and retained him by offering a new contract extension last month. 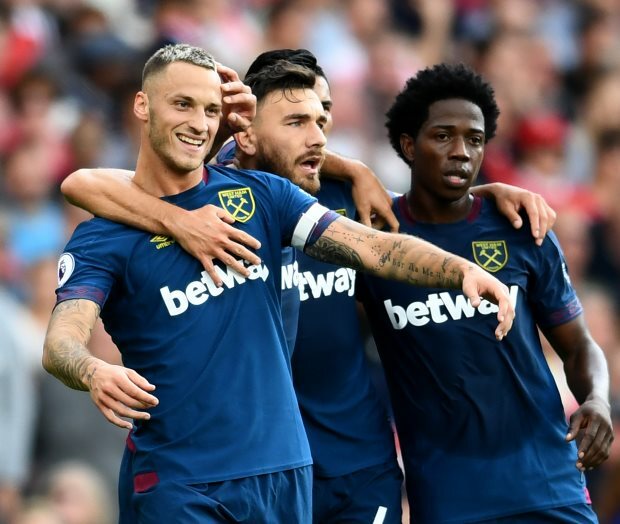 West Ham have been heavily reliant on Arnautovic and may be again when Liverpool visit the London Stadium in the Premier League on Monday – and Molby thinks the attacker's impacts will have been noted by his team-mates. The former Reds midfielder also stressed that as West Ham's best player, the Hammers need him to step up against the bigger teams. “I don’t think I have ever played at a club where players were desperate to leave or to go on to bigger things, but I can imagine what impact it has”, Molby said on LFC TV's preview show. “Whether you like it or not, he [Arnautovic] is their best player. "He is their best hope when they play against the top teams, he has got a little bit about him. “So for him to do that, I think the players will be extremely disappointed and it would affect the dressing room also because I think at times he can be a little bit moody. West Ham, who are on a run of three straight defeats in all competitions, face the tough task of stopping Jurgen Klopp's Liverpool as they bid to get back on track.